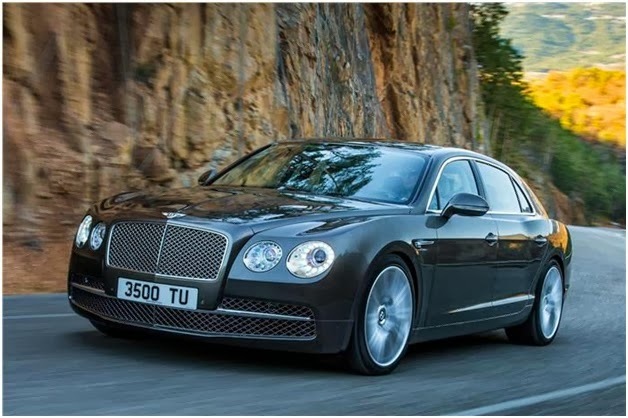 The updated 2014 Bentley Flying Spur was first showcased at 2013 Geneva Motor show and is planned for an Indian launch on 1st October. It really hasn't taken much time coming to India. The new 2014 Bentley Flying Spur comes with an exterior styling that is basically an evolved version of the styling that we first saw on the new Continental GT and Continental GTC. The new Flying Spur has been meticulously designed by combining the traditional Bentley styling with the new modern and chic sporty stance. 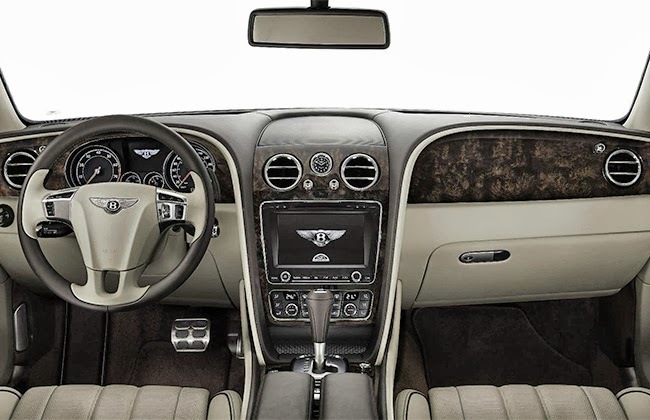 The interior of the car is very luxurious and sophisticated. It features advance technologies which are combined with hand-crafted hides and wood veneer. It gets various advanced technological features like touch-screen infotainment, mobile connectivity including Wi-Fi, a rear seat entertainment suite and new held touch screen remote, which allow rear-cabin passengers to operate various control. For entertainment, the vehicle sports an eight-channel, eight-speaker audio system with balanced mode radiators. Under the hood, the new Flying Spur is powered by a 6.0-litre, twin turbo W12 engine, mated to a ZF eight-speed transmission. The engine is capable of developing a whooping 616bhp and 800Nm of torque. It accelerates to 98kmph from stand still in mere 4.3 seconds, and has a top speed of 322kmph.